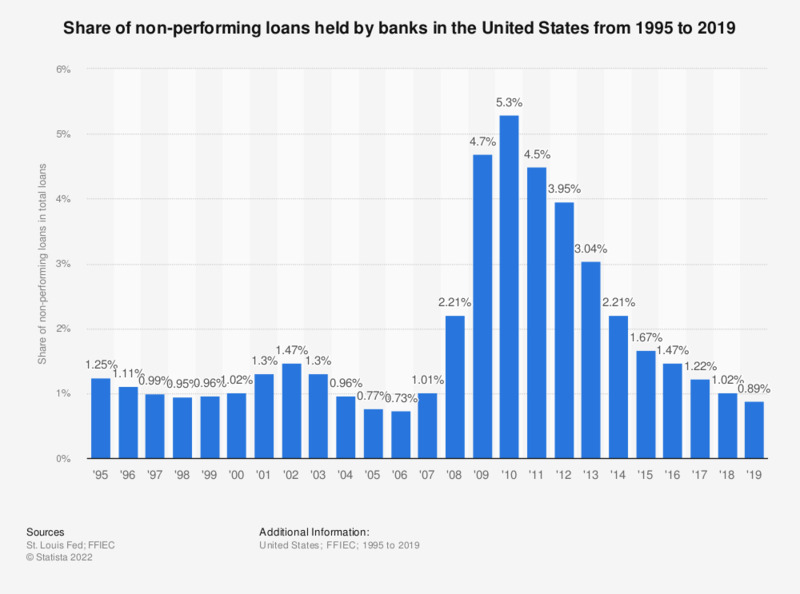 This statistic presents the share of non-performing loans held by banks in the United States from 1995 to 2018. Non-performing loans are those with 90-days or more past due or nonaccrual in the call report. In 2018, 1.02 percent of total loans in the U.S. were non-performing loans. Historically, the share of non-performing loans in the United States revolved around the level of approximately one percent. In the years following the 2008 financial crisis, non-performing loans constituted even as much as over five percent of total loans held by the U.S. banks. Percentage of non-performing loans equals total non-performing loans divided by total loans. Non-performing loans are those loans that bank managers classify as 90-days or more past due or nonaccrual in the call report. United Kingdom: Which, if any, of the products listed do you have from TSB Bank plc?